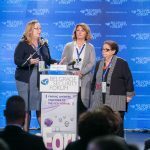 The organizers of the Belgrade Security Forum (BSF) are inviting think-tankers from the Western Balkans to provide food for thought papers for discussion on “Balkan 2025 – What Kind of Future Can We Expect?” as a part of the Eighth Belgrade Security Forum (October 17- 19, 2018). 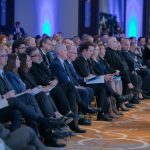 In the light with the overall topic of this year’s BSF “Finding the Answers Together to the New Normal”, we are looking for opinion pieces that critically review assumptions behind projections about future relations within Western Balkan region, as well as between the region and the EU until 2025. By submitting a proposal, think-tankers are qualifying for wide dissemination of their analysis before and during the BSF through BSF channels (web-site, mailing lists, social media), as well as for the full financial coverage of the participation costs in the BSF (travel, accommodation) with the support of Open Society Foundation. 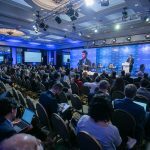 Selected papers will be presented within the main program of the Eight Belgrade Security Forum, region’s foremost security and IR conference. Some of the selected authors (depending on the topic) will be invited to submit a more elaborate policy analysis (up to 6000 words) to be peer reviewed for publication in a special issue of the Journal of Regional Security. In February 2018, the EU has adopted its new Enlargement Strategy. This ambitious document clarifies the EU’s expectations from the Western Balkans countries (WB6) and opens the possibility for the so-called Balkan front-runners in the EU integration – Montenegro and Serbia – to become Member States by 2025. By then, Albania and Macedonia are expected to advance on their EU integration paths, while the EU perspective for Kosovo and Bosnia and Herzegovina remains vague and ambiguous. While provision of credible EU membership is an encouraging vision for the region, there are still a number of uncertainties that might lead to alternative scenarios. With this initiative, we want to inspire future thinking led by think-tankers that will challenge policy-makers to consider overlooked evidence on new crises or unexplored opportunities, as well as to re-shape narratives on common future. What can go wrong? Try to develop scenario of the crisis for which we already have evidence that it could take place, but no ready response by the WB countries of the EU. What are incidents or crises that the region should prepare for? Who should take a lead: WB governments, EU or parts of society? Common dream – what would be the most optimistic scenario for the region that is shared across the region? Try to develop a narrative on future that would unite diverging visions within the region and the paths to be taken to reach it. National perspectives: What are key national actors and internal developments in each of WB6 communities that might influence outstanding regional issues? Which of these are predetermined and unlikely to change? Which of the remaining factors are likely to vary in definable ways? With what likely results? 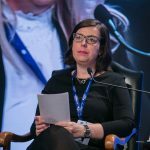 How to improve EU approach to WB6? What are key assumptions of EU Enlargement Strategy that are key for success of EU credible promise to the region? What are gaps in EU Enlargement Strategy that might significantly influence dynamics in the region in the different direction than the one envisaged in the Strategy? What contingency plans should EU develop to mitigate risks? EU of 2025: What is the EU that some of WB6 might be joining in 2025? How WB countries could prepare for new dynamics in the EU? 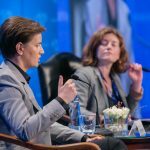 Develop sectoral scenarios: What would be the best, the worst and feasible scenario for economic development of the Western Balkans until 2025? Security/ Political developments / Reconciliation… What are the key driving forces, major stakeholders and key uncertainties that might results in each of scenarios? The think tankers from Albania, Bosnia and Herzegovina, Croatia, Kosovo, Macedonia, Montenegro and Serbia can apply to this call. Interested candidates should submit no later than June 10, 2018, to academic@belgradeforum.org. Policy paper addressing one (or more) of the topics above, from 1000 up to 2500 words. All papers should clearly state which of above mentioned topics is primarily addressed in paper and have a title that could be used for communicating scenarios to wider audience. 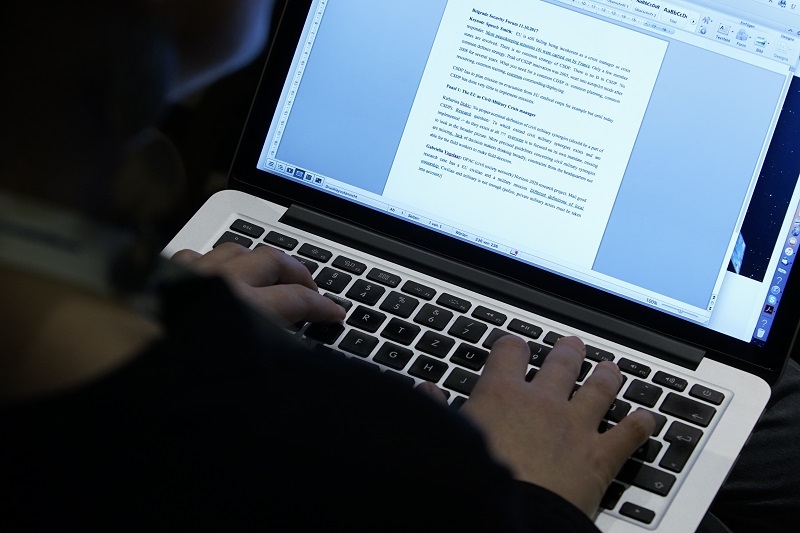 Submitted papers should include policy recommendations and should range from 1000 up to 2500 words.